Earlier this month BenQ has announced their new monitor XL2720Z, the first 27-inch gaming monitor that BenQ releases with support for 144Hz refresh rate as their previous model XL2720T was up to 120Hz. BenQ XL2720Z is also 3D Vision ready, though when using it in stereoscopic 3D mode you are being limited to 120Hz (60Hz per eye) like with other 144Hz 3D-capable models. And while the 3D Vision compatibility also comes with 3D LightBoost technology support that can help improving the brightness level in stereo 3D mode and also help reduce motion blur in 2D mode, BenQ has also introduced a new Motion Blur Reduction technology of their own that essentially does what 3D Lightboost does – strobing backlight, but BenQ’s solution does not require “software hacks” to work like you may need to do to enable Nvidia’s 3D Lightboost for motion blur reduction. It will be interesting to see how will BenQ’s blur reduction solution will compare to Nvidia’s 3D Lightboost approach that was originally designed for stereo 3D use. 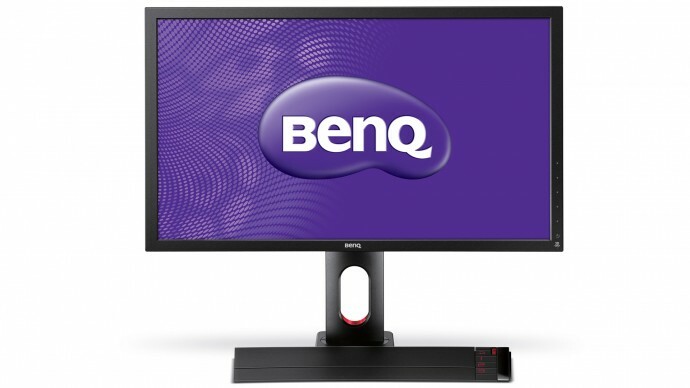 Other interesting things about the BenQ XL2720Z is a new Low Blue Light mode that allows gamers to adjust the blue light levels of the monitor that is considered to be the cause of eyestrain for example when using computers for long periods of time. Another new feature introduced a this monitor is the Gaming-comfort Flicker-free technology that is supposed to eliminate noticeable flickering of the backlight when you lower the brightness level of the monitor (no PWM dimming of the backlight). If you want to be able to use the BenQ XL2720Z for stereoscopic 3D gaming you would need to get a pair of 3D Vision glasses with IR emitter kit, as they are not bundled, and BenQ’s target is probably not stereo 3D gamers, but 2D gamers interested in the higher refresh rate. Unfortunately this monitor does not feature the recently announced G-Sync technology from Nvidia, so if you are looking for a new gaming monitor you might want to wait a bit more for the first G-Sync enabled monitors to come out (probably early next year). BenQ is one of the partners of Nvidia for the G-Sync technology along with Asus, Philips and ViewSonic. By the end of the year Nvidia is supposed to start offering the Nvidia G-SYNC Do-it-yourself upgrade kits for owners of the ASUS VG248QE monitors. So now may not be the best time to go for the BenQ XL2720Z, unless you don’t care about the elimination of screen tearing, input lag, and stutter that Nvidia’s G-Sync technology promises. If your interest is mostly in the new BenQ Motion Blur Reduction technology, then you might also want to check out the EIZO Foris FG2421 gaming monitor that also features similar strobing backlight technology helping eliminate motion blur, but Eizo also has a VA-type LCD and not a TN panel like on this BenQ display. Just a few days ago Nvidia has updated their highest-end single GPU with the new GeForce GTX 780 Ti replacing the previous top model in the form of GTX TITAN. The new graphic cards based around the GTX 780 Ti are out in the wild already, but the question that needs to be answered is if a single GTX 780 Ti graphics card is enough for comfortable gaming with maximum detail levels in the latest games in stereoscopic 3D mode with 3D Vision as well as what you cane expect if you play on a 120Hz+ 2D monitor instead of in stereoscopic 3D mode. That is exactly what I tried to do here, by picking up some of the latest bigger game titles that were released in the past 4 months and testing them in stereoscopic 3D mode as well as in 2D mode. I’ve ended up with 12 game titles which should be more than enough to give you a good idea about the performance you can expect and before starting with the tests let us look at the official Nvidia 3D Vision ratings of these games. 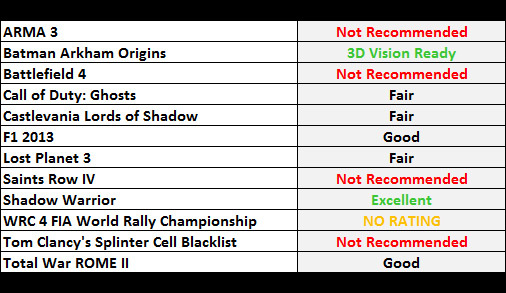 As you can see from the 12 games only one is rated by Nvidia as 3D Vision Ready – Batman Arkham Origins, and Shadow Warrior has an Excellent rating as the game does support stereoscopic 3D mode natively and it works great with 3D Vision. On the other hand there are four top games that are sequels to popular franchises and all of them have a Not Recommended rating, these are: ARMA 3, Battlefield 4, Saints Row IV and Tom Clancy’s Splinter Cell Blacklist. The rest are rated Fair/Good and only WRC 4 FIA World Rally Championship does not have a profile, but the interesting thing is that the the latest WRC game does work quite well even without a profile and is playable even with some rendering issues in stereo 3D present. Furthermore there are community fixes available thanks to the Helix Mod available to improve the stereoscopic 3D playability using 3D Vision for some of these games already available, these are: Castlevania Lords of Shadow Helix Mod Fix, Lost Planet 3 Helix Mod Fix and WRC 4 FIA World Rally Championship. This way we get 5 out of 12 games that are looking really good when played in stereo 3D mode (only 2 officially), the other games could be further improved witch patched or user fixes as well. So what is the goal of these tests? Essentially to see if the GeForce GTX 780 Ti can provide 100fps or more in 2D mode as well as 60 fps per eye in stereo 3D mode at 1080p resolution with maximum details and some AA. As you can see the AA of choice was 4xMSAA where available as at 1920×1080 resolution it is more than enough to smooth the edges while not bringing way too much of a performance hit. After all the idea is to stress the GTX 780 Ti a lot in order to see what you can expect and you should have pretty high expectations for a high-end video card like this one. As you can see the worst results in terms of framerate we are getting are in ARMA 3 and Total War ROME II. The case with ARMA 3 is that the game itself is really demanding, especially if you want to push the details to the maximum and have really long viewing distance in the game. The case with Total War ROME II is similar – the game can also be pushed to unreasonably high graphics details, but it also has a really stressful benchmark mode that probably represents a worse case scenario you can get when playing the game with a serious battle going on. Another important thing to mention is the result in 2D mode in the game Saints Row IV, as you can see getting 64 fps seems a bit too low, but that is due to some sort of frame capping inside the game (even though vsync is disabled), the actual achievable framerate is about 100 fps with these graphical settings. All other games do manage to provide great performance on the GTX 780 Ti, regardless if you want to play in stereo 3D mode or in 2D mode with higher refresh rate. 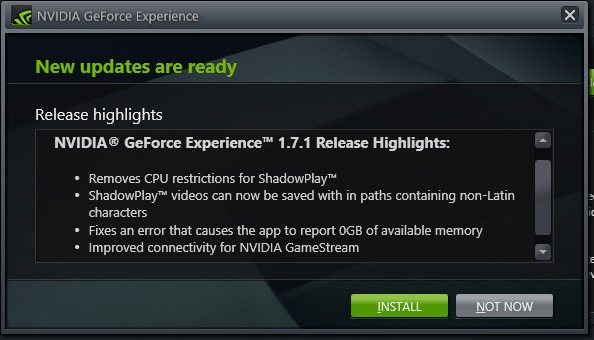 If you want to play in 2D mode at 144Hz refresh rate on a gaming monitor supporting this you might want to consider going for a SLI with GTX 780 Ti and the same suggestion applies for larger resolution displays. In the end, looking at the results, the GeForce GTX 780 Ti can perform really well when playing some of the top latest games with maximum graphic details and extra AA filtering both in 2D mode with a 120Hz+ LCD monitor and in stereoscopic 3D mode using 3D Vision. The card is great, but what we actually need are more games with official support for 3D Vision, because as you can see from the list of games tested here only 2 were ready to be played in stereoscopic 3D mode with 3D Vision out of the box. And thanks to the Helix Mod and the active stereoscopic 3D gaming community there are fixes for additional three, and some of the other games can turn out to look great when played with 3D Vision with patches. For example Battlefield 4 and considering the fact that the previous Battlefield 3 had a patch to add stereoscopic 3D support it is a bit of a disappointment that the sequel does not support it. If you are still using an older series of graphics cards from Nvidia like me with two GTX 580 in SLI or even a single GTX 580 or GTX 680 you might as well consider going for an upgrade to a GTX 780 Ti in order to get the best performance with a single GPU, the same applies for slower or older cards as well. 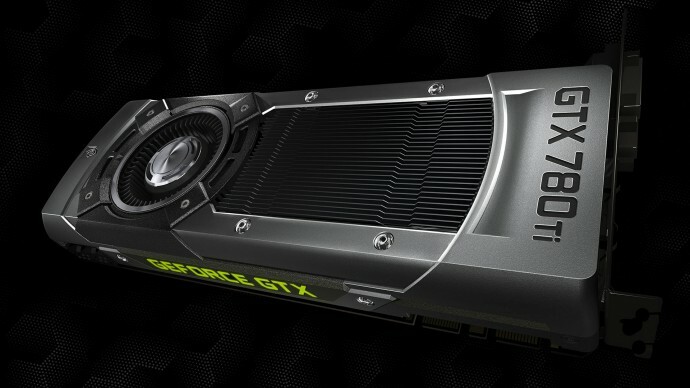 If you already have a GTX 780 or a GTX TITAN, then there is not that much need to upgrade to the new GeForce GTX 780 Ti, but you might consider adding a second card of the same type. I’m definitely upgrading my water cooled GTX 580 SLI setup to a single GTX 780 Ti and I do plan on adding a full cover water block to the card to make it cooler and quieter compared to the standard air cooler. Unfortunately going for water cooling would only help in reducing the operating temperatures, but not that much for overclocking as the most limiting factor on the GTX 780 is the power limiter maximum you can set and not the temperature. The good thing is that the GeForce GTX 780 does perform great even without additional overclocking thanks to the GPU Boost that tries to maintain the maximum clock frequency for the GPU Boost, the only thing that I’m not that happy with is the default high temperature target of 83 degrees Celsius, but as I’ve already mentioned with a water cooling setup the high operating temperature “problem” is easily resolvable.